It’s important to thoroughly check out any vehicle you intend to buy, including its warranty! On dealer sold used cars, the Buyer’s Guide informs about warranty coverage. There are many types of warranties and they vary in the amount of coverage they provide. A car may be sold without a warranty, so it’s important to check this out. 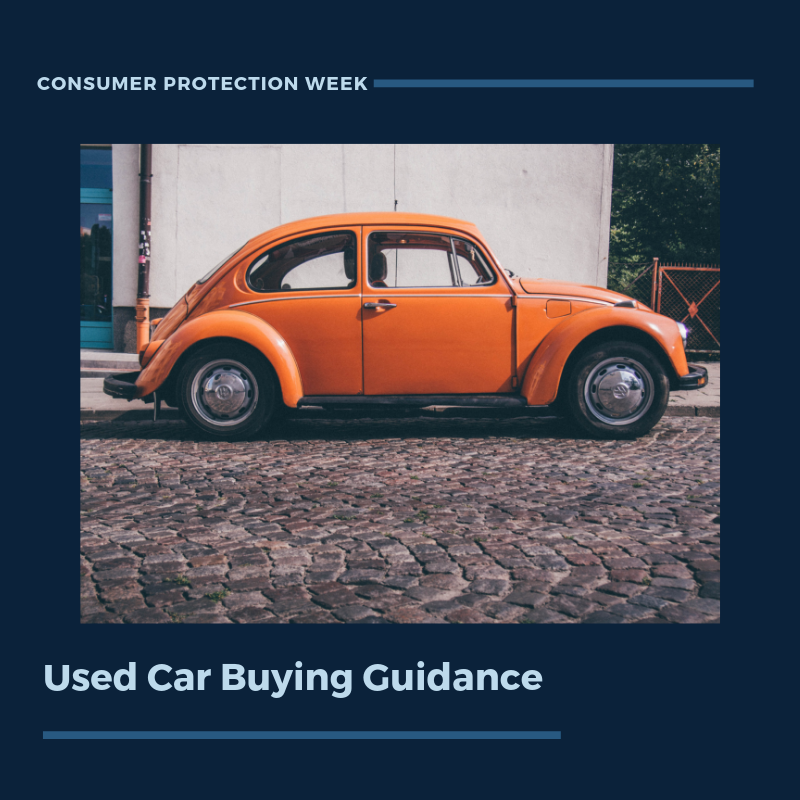 In an effort to encourage you to know before you go car shopping, you can call the Consumer Assistance Program at 800-649-2424. Finally, if you have concerns about a car purchase, you may also contact the Consumer Assistance Program to discuss complaint options. CAP may provide complaint mediation, refer to agencies and organizations that may help, or provide an attorney referral, such as to the Vermont BAR Association’s Referral Service (800-639-7036) or to Vermont Legal Aid (800-889-2047). This entry was posted in Consumer and tagged #NCPW2019 by ldunn2. Bookmark the permalink.